Provides a unique opportunity for students to learn carpentry and construction skills by participating in the construction of a variety of projects, including large commercial buildings. Students are prepared for entry-level employment skills in the construction field and for participation in post-secondary construction-related programs such as construction management, construction engineering, and architecture. 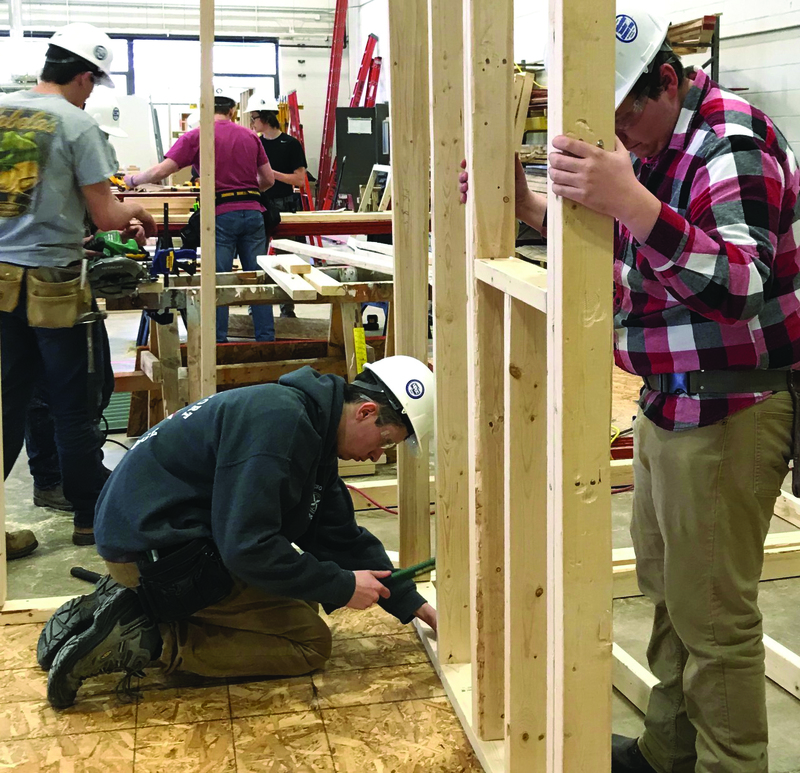 Students participate in estimating, layout, foundation and cement work, rough-in carpentry, roofing, wiring, interior wall finishing, exterior finishing and siding, finish carpentry including trim, etc. Students are involved in all phases of residential construction. They are also exposed to blueprint reading as well as math and science concepts as they relate to the construction field. In addition to participating in post high school programs, many graduates of this program work for area contractors or establish themselves as a licensed contractor. The programs are typically available to students in grades 10-12 and are offered at GHS, IHS, MHS, MSHS, SCHS & WHS. Students are prepared to enter college and the workforce as a skilled CAD technician. 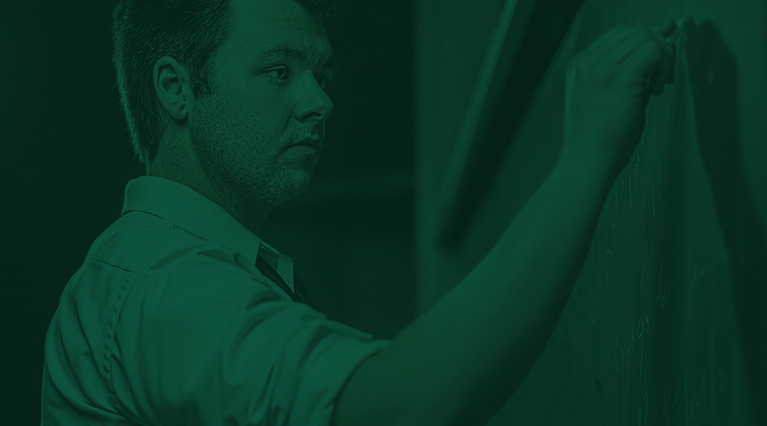 Students will graduate with advanced CAD skills by training on the most current CAD software. Students complete 2D and 3D projects with an emphasis on constructing what you design using advanced and specialized computer-aided drafting skills. The programs are typically available to students in grades 10-12 and are offered at GHS & NHS. Safety is always priority number one for local high school CTE programs. In addition to earning their 10-hour OSHA safety card, high school students now have the opportunity to earn advanced safety certification. 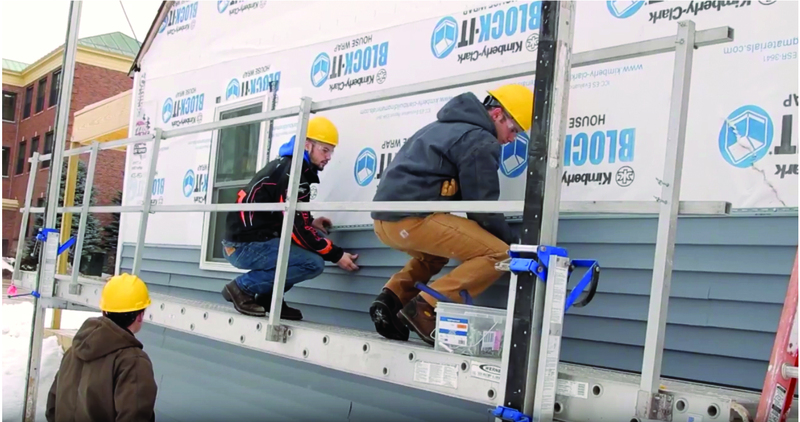 In collaboration with Eagle Mine and the Upper Peninsula Builders Association (UPBA), all Marquette and Alger county students enrolled in high school professional trades CTE programs have access to advanced safety training. Eagle and the UPBA are providing their professional safety personnel as trainers for Construction/Industrial CPR and First Aid, Fall Protection, Enclosed Space Safety, and other safety topics. Students have the opportunity to become certified in multiple areas, assuring that they are not only well trained but also have the safety mindset employers seek. The welding programs prepare students for entry level job skills in the welding field or participation in a community or technical college program. The instructional format is “self-paced,” allowing students to progress at their own speed. Instruction is provided in safety, cutting and bending steel, shielded metal ARC welding, gas metal ARC welding (wire feed), gas tungsten ARC Welding (TIG), oxyacetylene torch cutting, project layout and construction, daily maintenance of shop and equipment and employability skills. Students are required to complete welding and cutting operations, a required project and one of their own choosing. American Welding Society Certification tests are available to students in ARC, MIG, and Flux Core ARC Welding. If a student passes any of these certification tests he/she will receive a nationally recognized certificate which is valuable for securing employment. Time in this course is split between lecture and hands-on activities. Students also receive an introduction to basic machining principles, including foundational work on the mill and lathe. The programs are typically available to students in grades 10-12 and are offered at NHS & WHS. 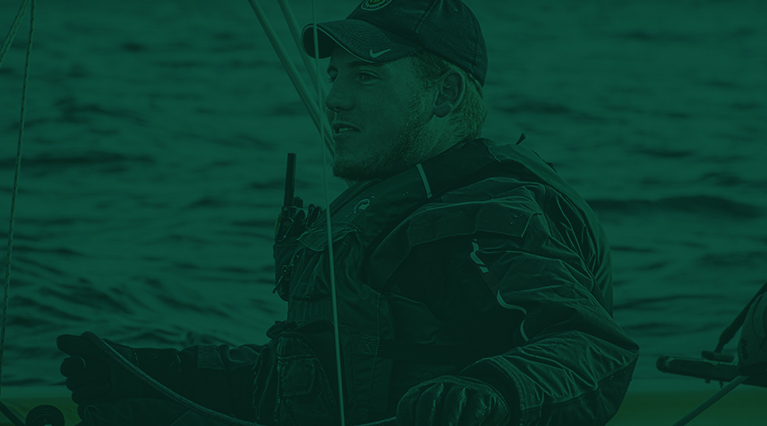 The Marquette-Alger Regional Educational Service Agency (MARESA)/ NMU High School Programs are available to students in Grades 11 & 12 from all Marquette and Alger County high schools. For more information, contact Brian Sarvello, MARESA CTE Director at 226-5135. 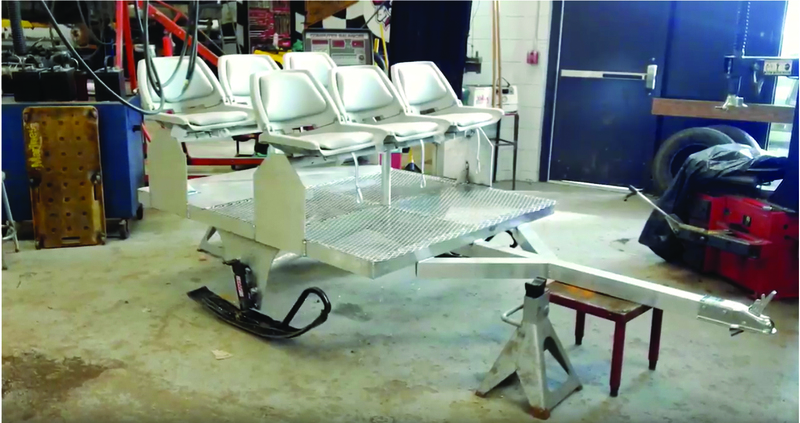 Westwood High welding students designed and built a "people mover", a trailer for a side-by-side, for Down Wind Sports. 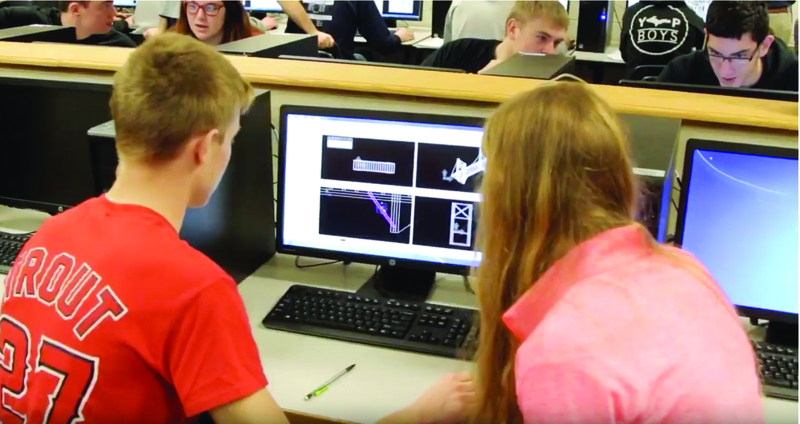 Negaunee High School students can get four years of training in Computer Aided Drafting (CAD). To learn more about the high school CTE programs offered in Marquette and Alger County school districts and at Northern Michigan University’s Jacobetti Complex, please contact your high school guidance office and visit the MARESA CTE Youtube Channel. For more information, contact Brian Sarvello, MARESA CTE Director at 906-226-5135 or Rosemarie Strom, MSSC Program Director at 906-486-6605.